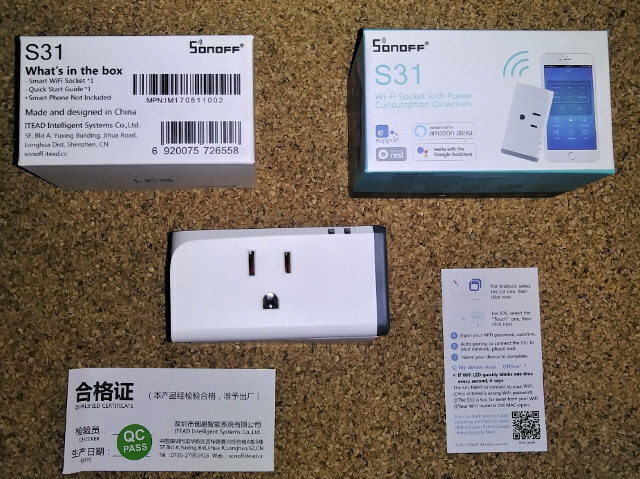 Today we are looking at the Sonoff S31. It is another device in the Sonoff line by ITEAD Studio. Similar to the Sonoff POW, you can see power usage but on the S31 you can keep historical data up to 100 days. This time around I am using it with the standard firmware, and will not be flashing the popular MQTT Tasmota firmware. Taking the S31 apart is rather easy but I did not take it fully apart for fear of breaking it. Just pop the power button off the left side. Then 2 plastic pieces slide off to reveal screws. I already had an eWeLink account. Adding the S31 is easy and just works. 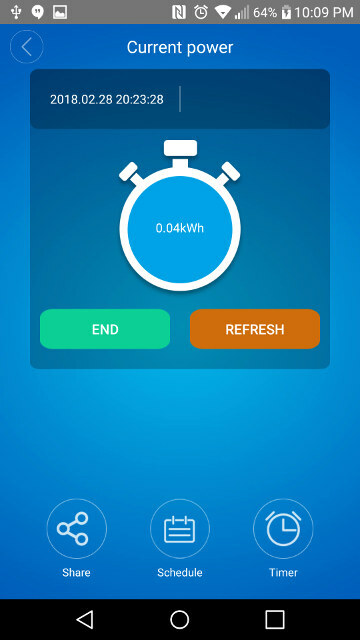 You press and hold the power button on the S31 for 7 seconds and have the app look for the device. The S31 created a hotspot, and with magic it sends WiFi credentials to the S31 to get it on the network and talking to the cloud server. It has been a while but it appears to have all the standard settings like previous devices. There are a couple new items. The ability to download a CSV file, and a stopwatch type timer. One thing that was odd with the CSV is that I had to rename the history.csv file in order to download while tethered to my PC. 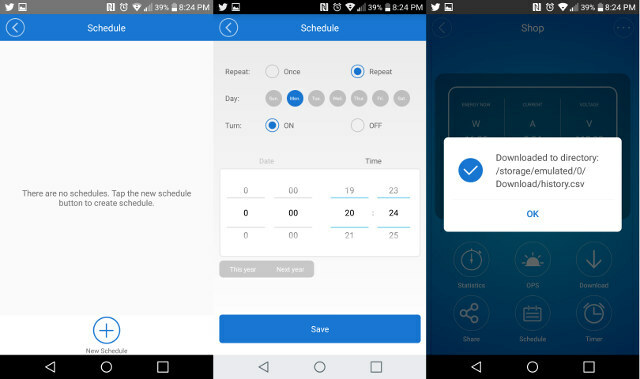 I imagine that it is phone related, and not the eWeLink app. 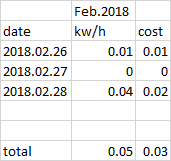 I inputted a price per kw/r as .16 and here is an example CSV file. The stopwatch persist through reboots and closing the app. 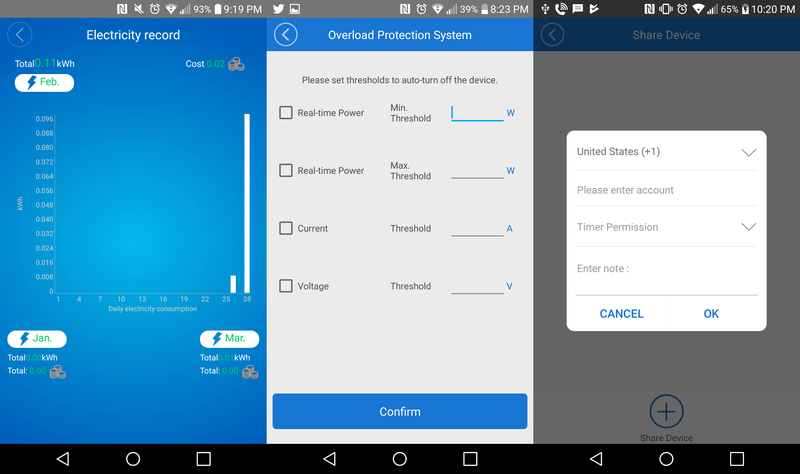 It looks like an easy way to gather power usage in a specific timeframe. I initially followed the instructions that pulled up in the eWeLink app by scanning the qr code on the insert in the package but the instructions are dated. I followed these instructions and added without a hitch with my phone. 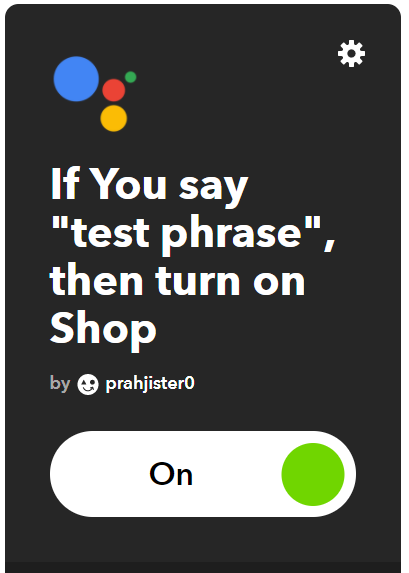 Hot word OK Google and “Turn on shop” or “Turn off shop worked well. For Alexa I enabled the eWeLink skill and connected to my account. It searched for the S31 and was uneventful. Same key words as Google. IFTTT was just as simple. I created a simple Android Assistant phrase that turned the plug on. I know that this is redundant but just wanted to test functionality. Worked the first time. IFTTT had the slowest response with about a full second delay. I would like to thank ITEAD for sending the Sonoff S31 ($16.90 + shipping). 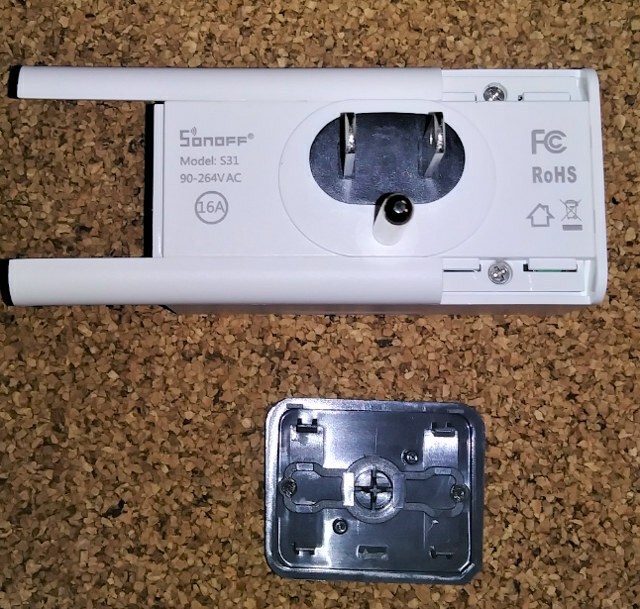 It is the most consumer packaged device that I have reviewed in the Sonoff line. I have not reviewed the S20 and S30. No need to mess with screw terminals. 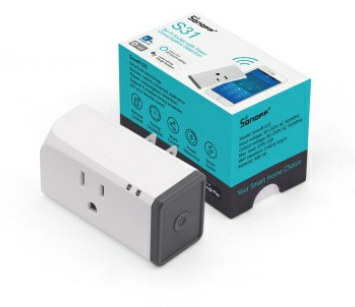 Just plug in and connect to your network. 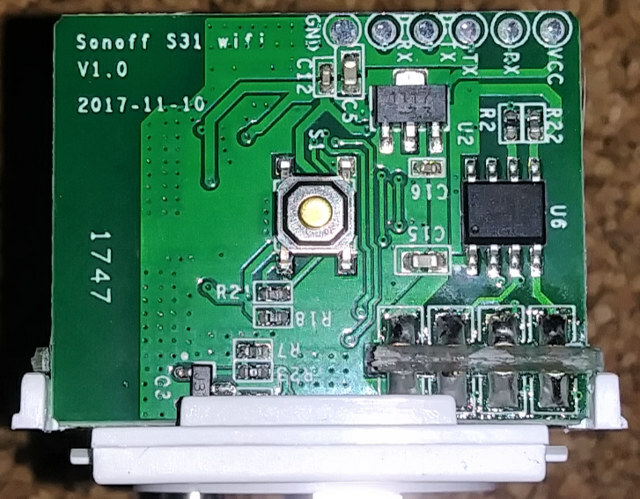 One caveat is that the stock firmware for the entire Sonoff line relies on being connected to the Internet to function. I really wish they would have an option to enable MQTT out of the box and use in offline mode or hybrid mode. I think it would be beneficial to the homebrew home automation crowd. Unfortunately I can’t make out what the IC’s on the other side of the power button are from the FCC pictures. Is it UL certified though? As a product like this need to be both FCC and UL certified to be legal to use. Hasn’t ITead learned from their previous device almost catching on fire that they have to do UL or ETL certification on these devices? ETL is much cheaper to do than UL. The Shenzhen ETL office is only a few km away, get over there and use it. ETL is a safety rating. 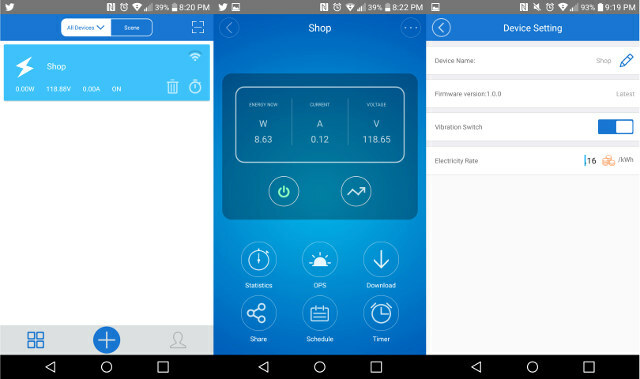 It ensures that these device won’t burn your house down and that you won’t get electrocuted if you walk near them with wet feet. Safety in these devices is for real, this person was killed by a knock-off Apple charger. The knock-off did not have the safety circuitry that is in the real thing. I do agree with you that they need better safety certification, but where have you read about Sonoff catching fire or electrocuting people? I’ve only heard about cheap phone chargers, that somehow output live voltage over the 5V USB output, because of the low and high voltage traces being way to close or even touching each other. Rather interesting considering, the X-files season 11, episode on Mulder and Scully’s connected life. Having taken a second look, there’s no way this thing would pass UL. For something like this, you normally need an optocoupler between the power measurement IC and the rest of the electronics. This is to isolate the AC side from the DC side, but it doesn’t appear to be the case here. 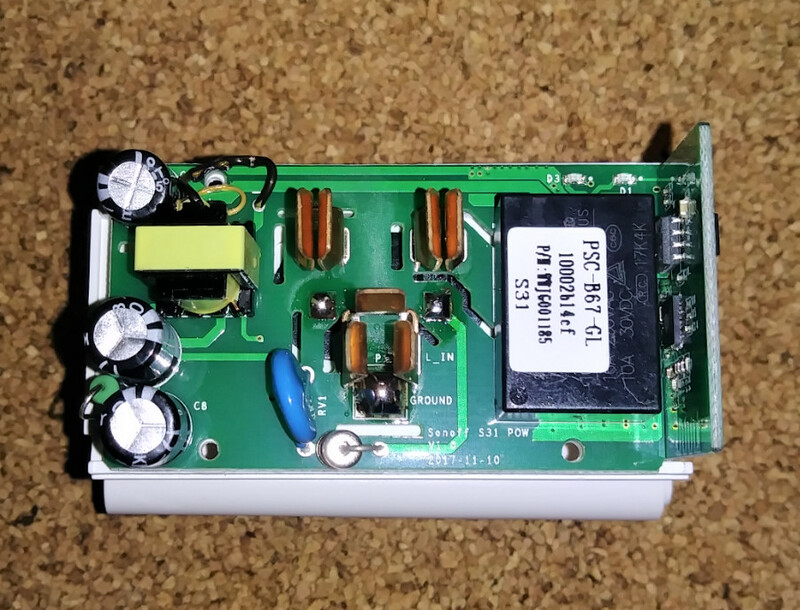 Even if R2 and R22 are optocouplers, the PCB design doesn’t appear to offer very good separation between the AC and DC side of things, assuming that U6 is the power measurement IC. I really wish the EU would up their game a bit and get the CE certification to be more similar to the UL certification, since CE certification leaves it up to the manufacturer, which is clearly simply not good enough. It possible to design perfectly safe AC devices without the optocoupler. This is likely a hot ground design. Hot ground is commonly used in AC devices but you have to be very careful that the hot ground is not exposed outside of the case. Don’t stick any test probes into this device unless you know what you are doing with a differential probe. You will destroy normal test equipment if you attach it to a hot ground device. Hot ground works by defining the AC wave form as ground. Then your 5v or 3.3v is created as an offset against the main wave form. So compared to test equipment ground that hot ground is swinging around a couple hundred volts depending on what country you are in. But the chips attached to the 5v offset happily think they are on a normal 5v DC power supply. They are unaware ground is swinging around. Hot ground power supplies cost one third of an isolated one to build. They are perfectly safe as long as you are aware of what they are and don’t mistakenly treat them like an isolated power supply. One common way to fail UL/ETL is to put the AC PCB traces too close together. Then when they do the humidity test the water in the air adds enough conductivity that the AC jumps off the traces and into other parts of the design. That’s for an earlier production batch only, and they changes instructions during manufacturing to avoid the issue. I have the Sonoff S20, in Off stage I measure 100V AC, they said that this is normal?! Did any of you see the article on Hack-a-day about Sonoff switches getting dangerously hot? Personally, I wouldn’t go anywhere near any Sonoff stuff. That’s not a normal Sonoff, it failed after 3 minutes. It’s a faulty one, dead on arrival. Has anyone figured out how to capture the S31 data in realtimE, by MQTT? It would be perfect to be able to send data to an Infuxdb database. I don’t think it’s possible with the default firmware, but if you install Sonoff-Tasmosta or ESPurna firmware MQTT will be enabled by default.